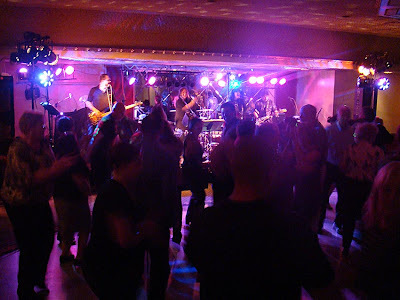 Oracle will be performing this Friday night at La Fontaine Bleue in Glen Burnie Maryland for a Valentines Dance that features an open bar, scrumptious all-you-can-eat buffet, and of course dancing to all your favorite dance songs of the past 50 years. The event runs from 8:00 until 12:00. Tickets are $35 and may be obtained from La Fontaine Bleue by calling 877-778-6863. Our performance at the American Legion on Saturday is sold out, but there are PLENTY of tickets remaining for this performance at La Fontaine Bleue! Come join us! In a strange turn of events,we will be at the Fri dance but not at the Sat dance. Originally had tickets for Sat, i have to work,& found out last sat b4 we went to PA. Wed the 8th we got the Fri Nite tix. The Sat tix will be sold on Fri nite. So we will be there. Strange yes. Take care.